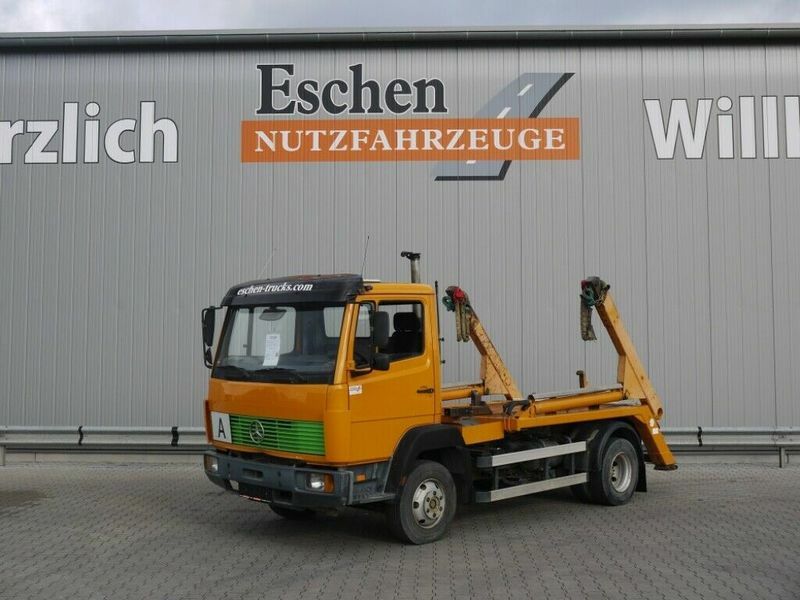 The detailed specification of MERCEDES-BENZ skip loader truck is provided below. This commercial transport unit was produced in 1995. Engine/driveline: Euro 2, diesel, displacement: 5958 cc, 170 hp, gearbox: manual. The mileage is 551480 km.